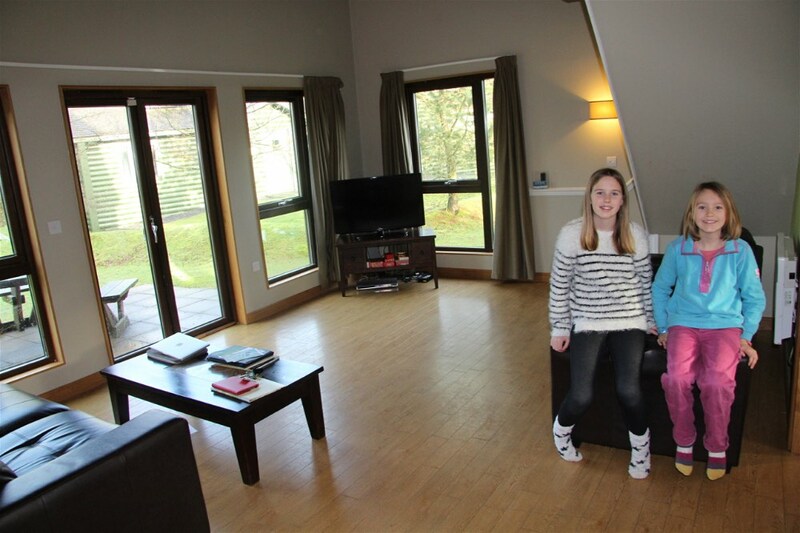 Perhaps the Perfect Short Break in Pembrokeshire at Bluestone Wales? Does Your Family Love Getting Active too? 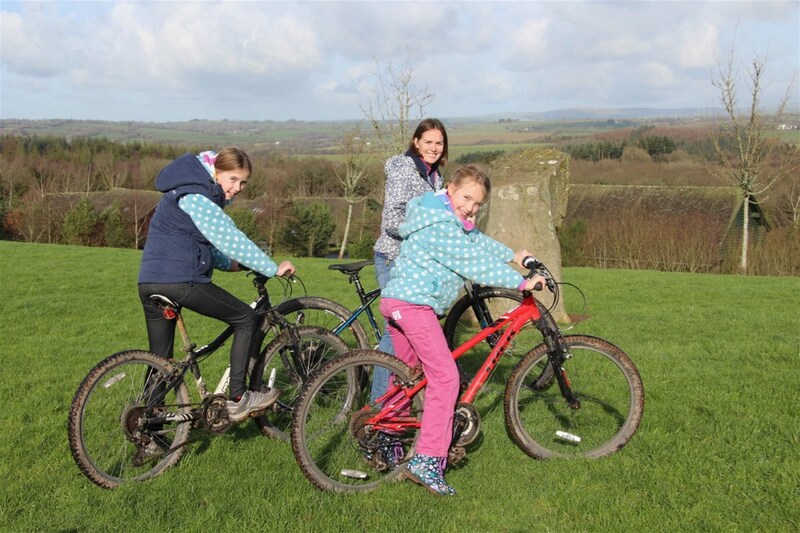 So have you seen what Pembrokeshire‘s Bluestone Wales has to offer for those who love getting outdoors!! Family Friendly Fun for all ages! 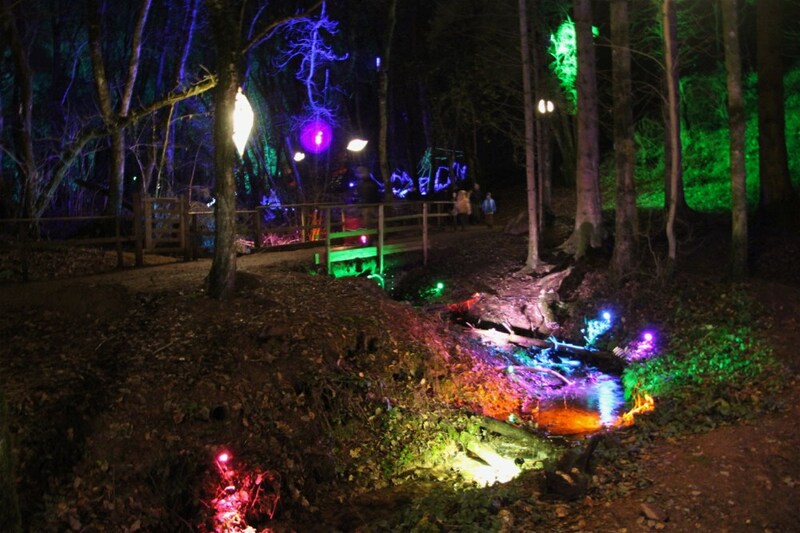 Climbing, Zip Wires, Adventure Centre, swimming in the Blue Lagoon…. 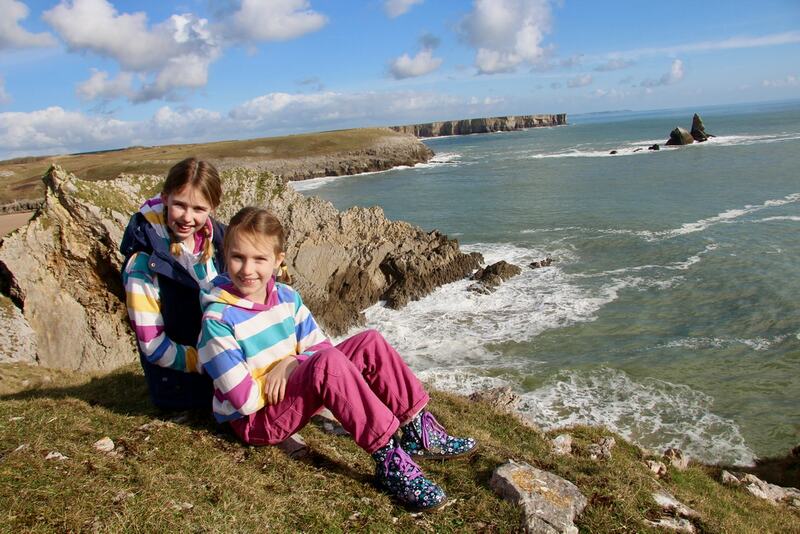 With our motorhome getting a well earned rest from our European RoadSchooling Adventure, we’ve headed for Bluestone’s Timber Lodges for a 4 day stay next to the stunning Pembrokeshire Coastline. 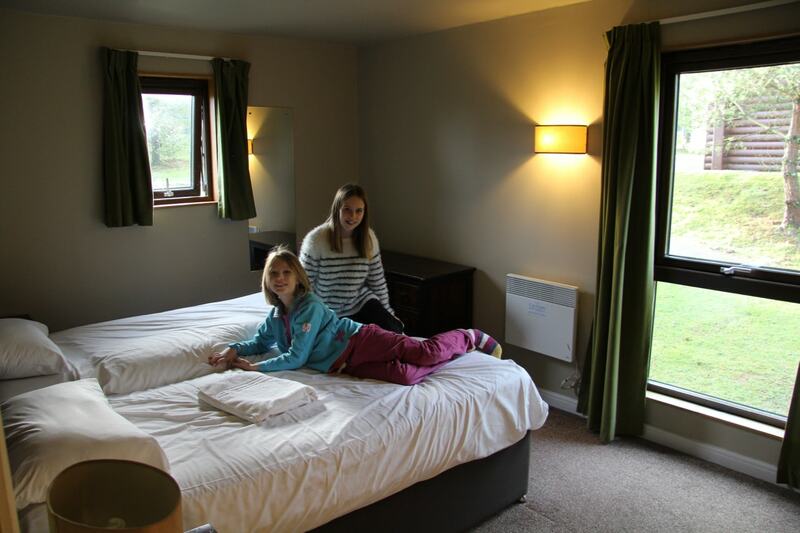 The perfect place for a short break to allow the girls to get active in the great Welsh outdoors!! 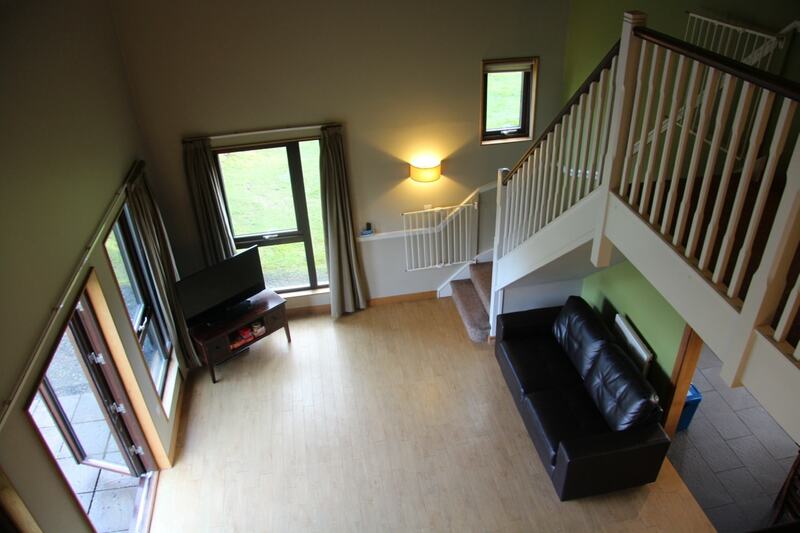 Set in over 500 acres of Pembrokeshire’s finest countryside, it lies within easy reach of the amazing beaches of Barafundle Bay, Broadhaven South or Freshwater West! 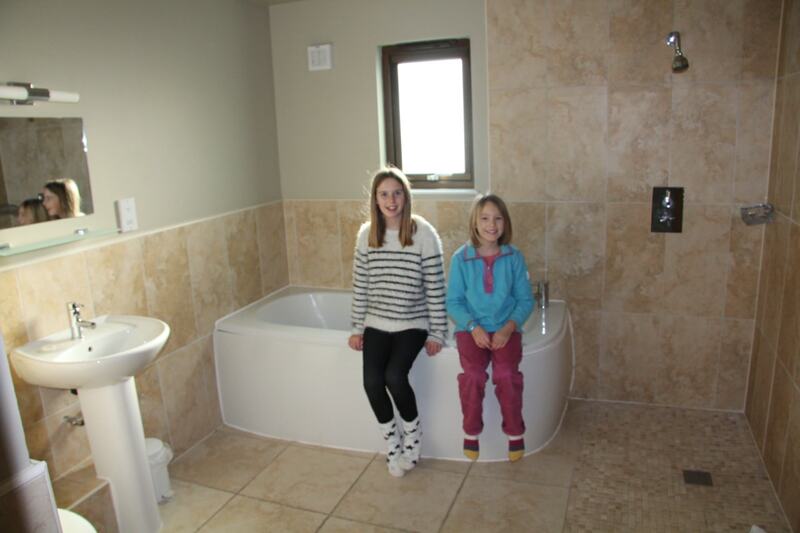 Whilst its 350 individual timber clad lodges offer plenty of space to relax and enjoy family fun… So having lived in our Adria Motorhome for over 450+ days, it’s offered a chance to kick back and relax!! We couldn’t fault any aspect of the accommodation, it’ll just be a wrench to leave and head back into the van for the next leg of our UK Cities Tour in Birmingham, London, Cambridge & Norwich! 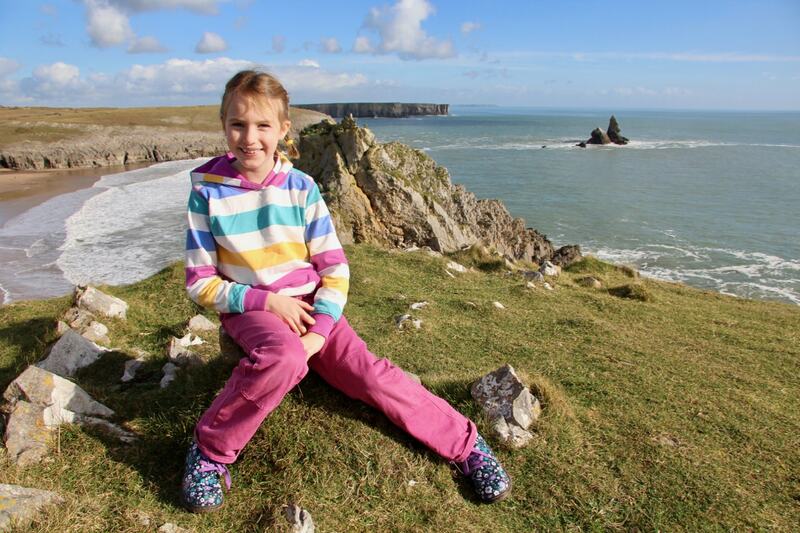 Regular visitors to our website will know just how adventurous our girls are… Taking a ‘can do’ attitude to most things including trekking into volcanoes like Mt Etna or kayaking around the sea walls of Dubrovnik, walking over shark tanks in Copenhagen or swimming with Sea Lions in Spain…. so how would Bluestone’s Sky Wire Experience grab them??? Narrow roads cover Pembrokeshire’sstunning countryside. Winding lazily down between the bays and headlands that create a dazzling mosaic of colours. Set against the backdrop of vast swathes of golden sand, it really does bring a smile to your face! But add in old historic castles & mills and it’s easy to see why famous films such as Harry Potter’s Deathly Hallows have been set here… In fact as both girl’s recently visited London’s Harry Potter Tour, it offered yet another great road schooling experience as we sat down to finish off their creative writing work from last week! 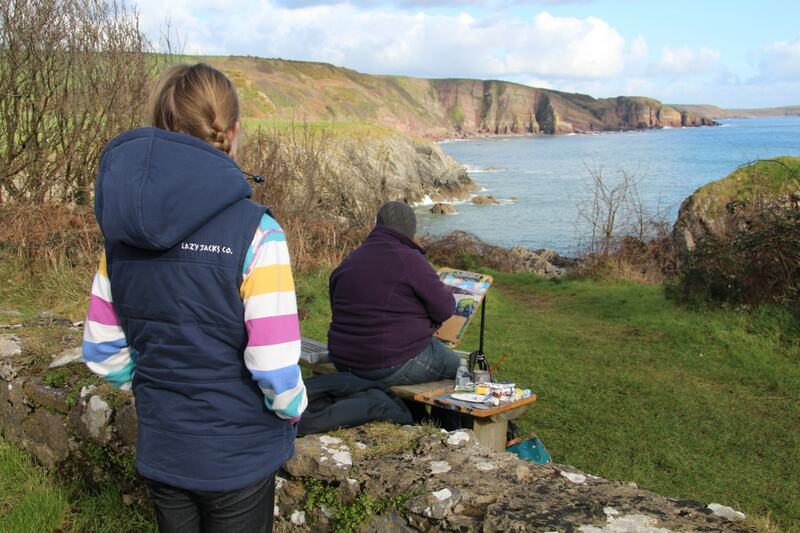 Roadschooling opportunitiesdidn’t stop there as we seized an opportunity to get some artistic tips from a local artist capturing these brilliant wintry scenes. You could almost be forgiven for thinking that this whole region has been forgotten by time, yet is perhaps a region that you could happily immerse yourself in for many years to come. 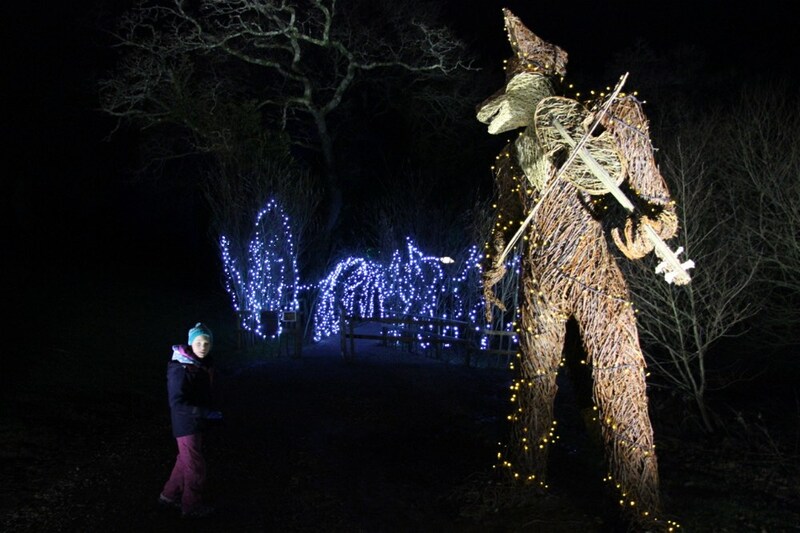 West Wales remains a vibrant, proud and culturally rich area, one whose passion could easily be seen as the very heartbeat of Wales. 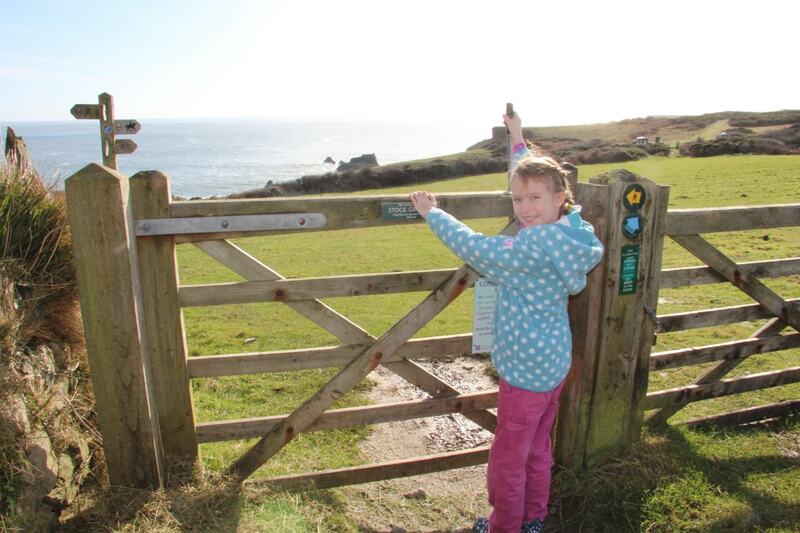 For motorhomers reading this, head for the delights of Treflan Farm or the National Trust car parks at Bosherston… the perfect place to while away a few hours with the most glorious of views! 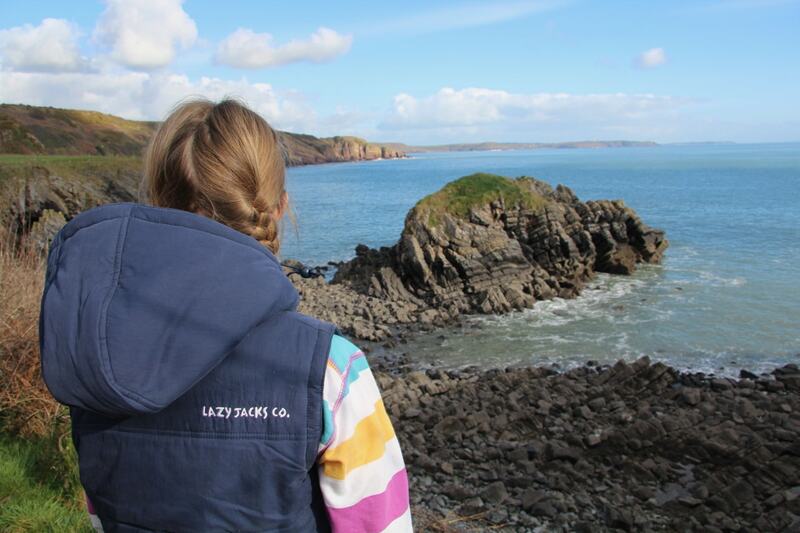 So we’re certainly become ‘Pembrokeshire Fans’ and can’t wait to return again in early May! It really is that good and compares well with anything we’ve seen in Europe that we’re going to change our travel plans to revisit!!! 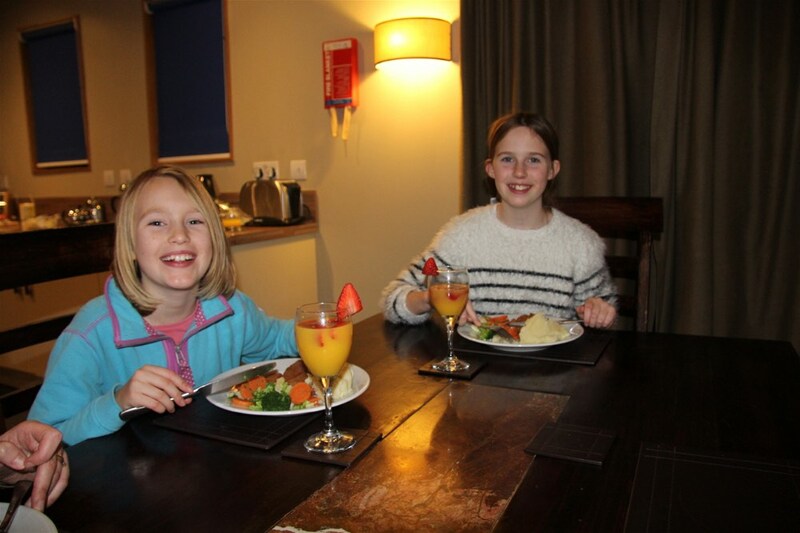 And we’re certainly keen to see the summer activities available… learning to surf with Haven Sports or horse riding the coastal paths.. Maybe even take in the famous fish’n’chips at Porthgain or head toward St David’s Cathedral, the actual Blue Lagoon near Abereiddy. 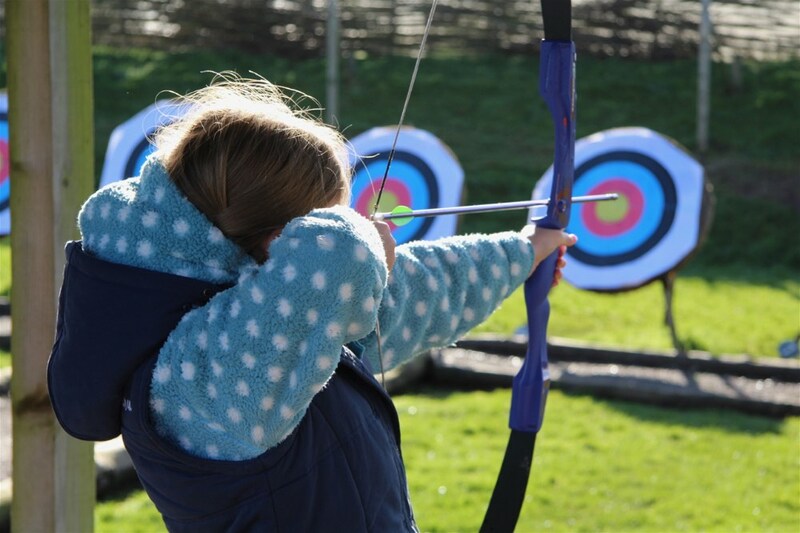 If you do decide to opt for the archery or clay pigeon shooting type activity, you’ll be pleased with the level of safety and guided instruction from the team of enthusiastic Bluestone Outdoor Activity staff… it proved an enjoyable afternoon activity and one that we’d repeat again given half the chance… but perhaps the girls will opt for an evening ‘shindig’ at Camp Smokey next time! 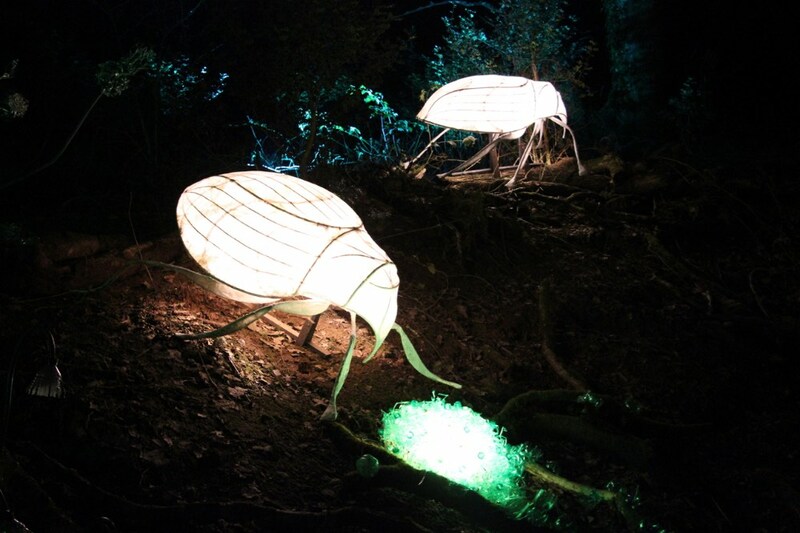 But if you’re visiting soon, don’t forget to try and manage at least one late night to experience the wonder of Tylwyth Teg and the Light Thingy between 5pm and 8pm… our girls loved the noises, sights & sounds of this brilliant light show for kids. A perfect end to a wonderful stay at Bluestone National Park resort. As fairly seasoned motorhomers, we know the benefits (both cost & flexibility) that a motorhome can offer a young family. However the Bluestone National Park Resort offers that precious commodity that all families love… time together having fun! Time to spend as a family enjoying an active, outdoor lifestyle. 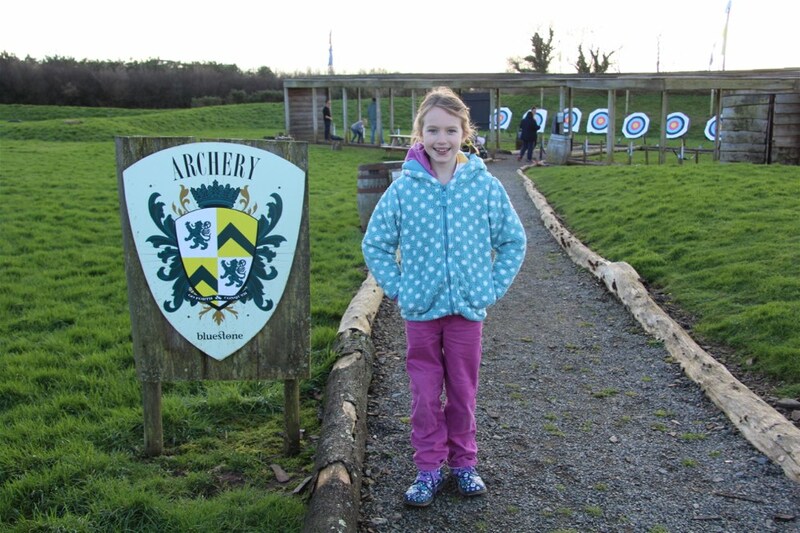 Packed full of indoor opportunities for fun and laughter, it also offers plenty more outside (both inside and outside the gates to Bluestone) Set in the glorious Pembrokeshire countryside, you can dip in and out of this wonderful location before settling back in the comfort of your lodge! Bliss!!! It’s really that good, we’ve decided to book again immediately and will return back in May… sometimes you just know when somewhere is perfect for you and your family!!! 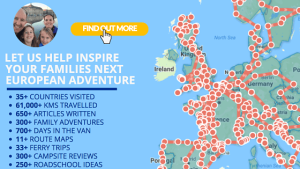 PreviousVisiting Lincoln with kids? So what’s available for free? Motorhoming in Norfolk | Visiting Wells next to the Sea – worth every minute spent there!